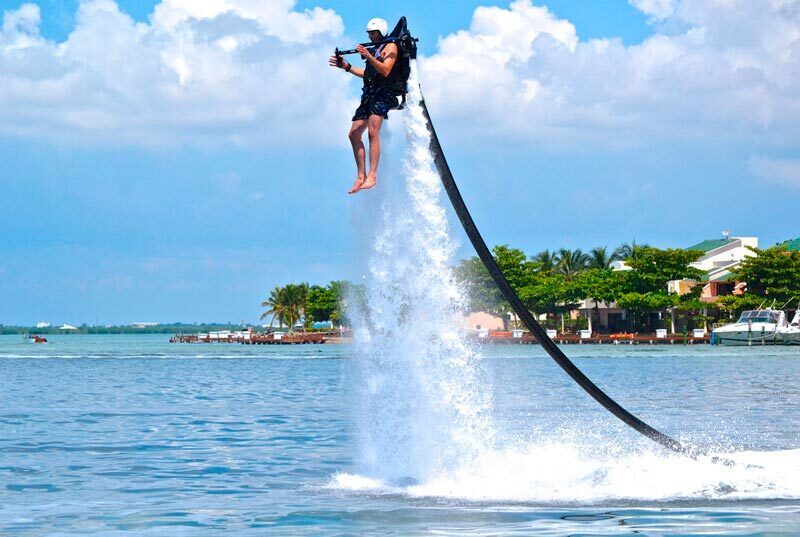 Fly, spin, and dive with Cancun Jet Pack! 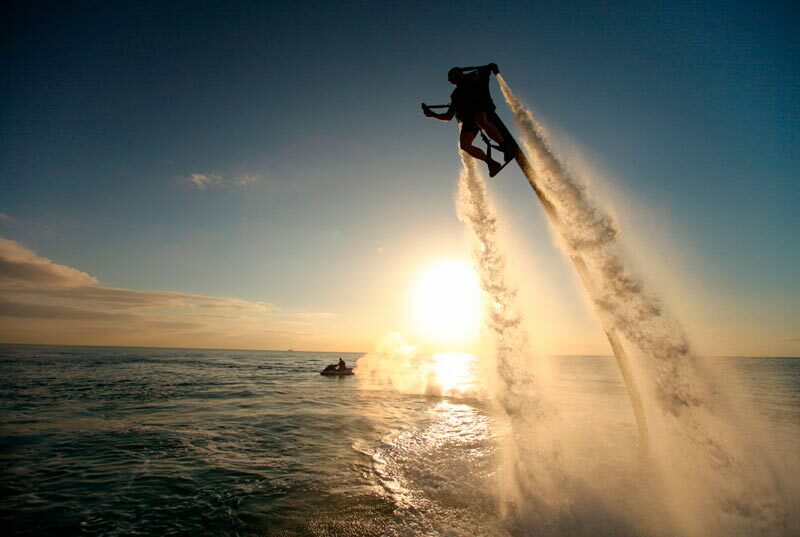 Dare to enjoy the thrill after only 10 minutes of instruction. 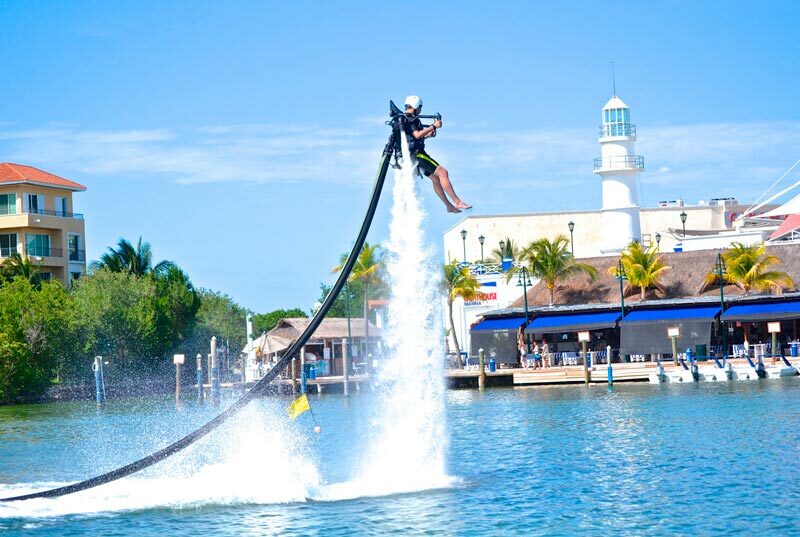 Jetpack adventure is for everyone looking for a new and exciting water sport attraction in Cancun. 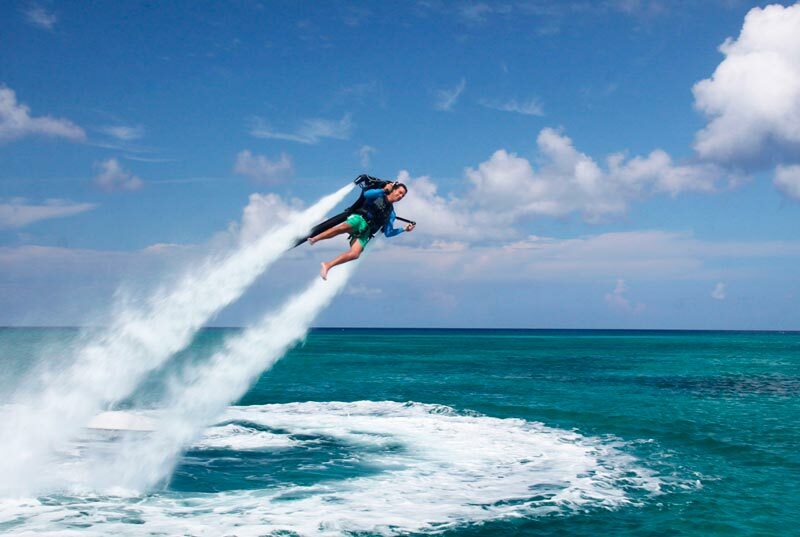 Fly, turn and dive into the water with Jetpack! 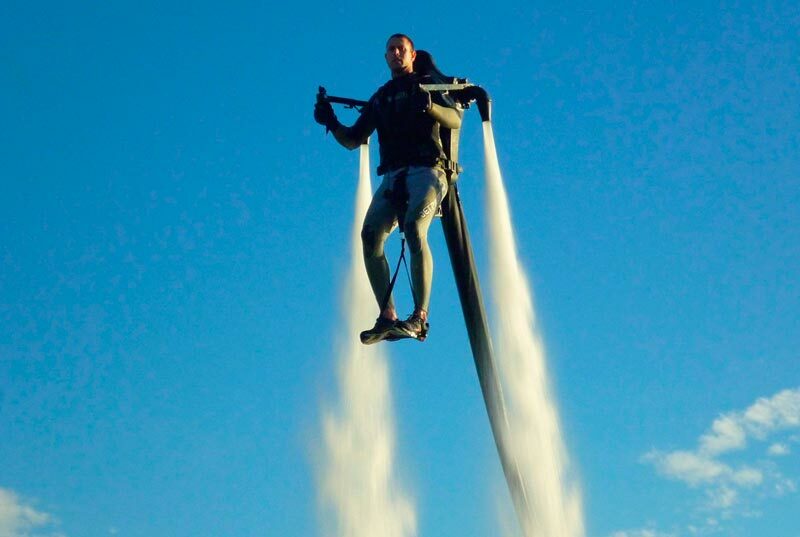 After 10 minutes of introduction you'll take off, walk on water and make submarines as a pro. The throttle is controlled remotely by your instructor which also will help you giving instructions through the hermetic headphones in the helmet. No swimming skills or previous experience required. 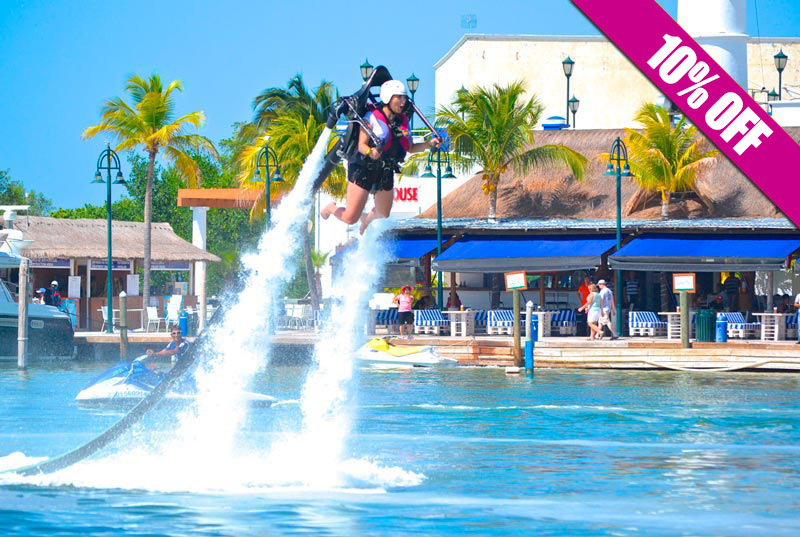 Dare yourself to try Jetpack in Cancun, book now! Instructions (10 minutes of introduction). Flight 20 or 30 minutes (choice). Locker rooms, showers and bathrooms. Dock Fee is not included ($10.00 USD per person). This activity is not available for minors under 15 years old. Under 18 years old should be accompanied by an adult and the adult must sign the release form. This activity is not recommended for pregnant woman, persons with recent major surgeries or cardiac conditions. The client must weigh at least 100 lbs. And maximum 330 lbs.